As part of your financial planning, it is important to have Power of Attorney and Guardianship documents in place in the event that you can no longer look after yourself. This ensures that the person of your choosing is appointed as your Power of Attorney or Guardian and can make legal, medical and lijestyle decisions on your behalf. 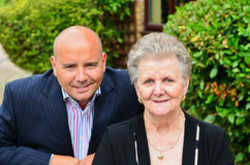 At Breens Solicitors & Conveyancers, we can draft your Power of Attorney or Enduring Guardianship for a flat fee and also offer discounted rates if obtained with a Will or second Power of Attorney/Enduring Guardianship. Contact the office of Breens Solicitors & Conveyancers to request a no obligation quote or make an appointment.